Same venue. South Asian Festival by CMR. That was amazing performance Chinmayi. Krish and u really rocked and other artists too. And ur mom at the end of the show..no words..so suprb. i wanted to hear more words from her! so sweet. Best wishes .continue to rock.Embellish the concert. You were blast last night! 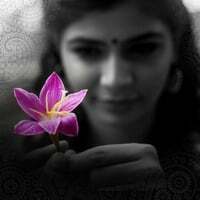 Chinmayi u have multi talent on your voice (Maya Maya to singara velavan)...krish & u are awesome. u guys have to come for more concerts. u were really entertained Toronto. god bless you & have a safe journey to your home land. Hi Chinmayi, when are you going back to India. you & Krish were blast last night. hope you had a good time. HI chinmayi....just a quick question...i thought Kondattam was only on saturday and sunday....are they still having it today as well...just out of curiousity so i could come..
Chinmayi! May I please get the name of the first song you sang at the concert yesterday? You said it was the song you sang when singer Sreenivas was the judge. I know it's an old song and I've heard many people sing it before. Lakshmi: thanks! :D I loved performing there too!